Sig Announces the Release of the Seagull Models Van's RV-8 "Diamond Di"
Sig Manufacturing, the exclusive distributor of Seagull Models in the USA and Canada, recently announced the release of a new model from Seagull Models, the Van’s RV-8 “Diamond Di”. This 20cc sized ARF kit is built using conventional balsa and plywood construction techniques. A well engineered laser-cut design results in a lightweight model. Covered in UltraCote covering, this kit includes a matching painted composite cowl and wheel pants. 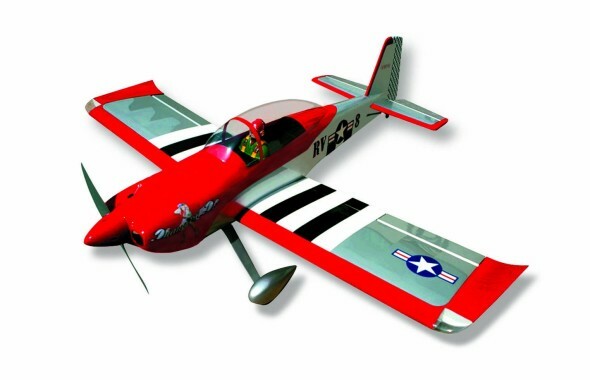 Designed for everyday sport and aerobatic flying, this 1800mm wingspan model captures all of the responsive agility and aerobatic capabilities of the RV-8 all aluminum, low wing airplane. The full scale RV-8 is airplane designer Richard VanGrunsven’s latest design. Since 1973 Van’s Aircraft has sold over 18,000 kits and plans, with over 8,000 airplanes completed and and flying in 45 countries. In the U.S. alone the number of RVs completed each year exceeds the combined production of all commercial general aviation companies. The RV-8 features tandem centerline seating, for fighter pilot types who like to sit in the middle.